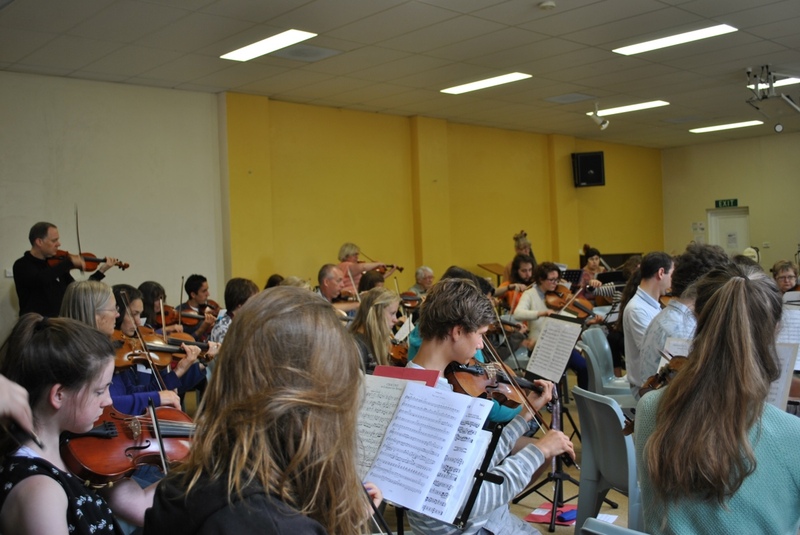 The orchestras are a vital part of the String Camp. You’ll spend over four hours a day rehearsing, either with your section or with the entire orchestra. 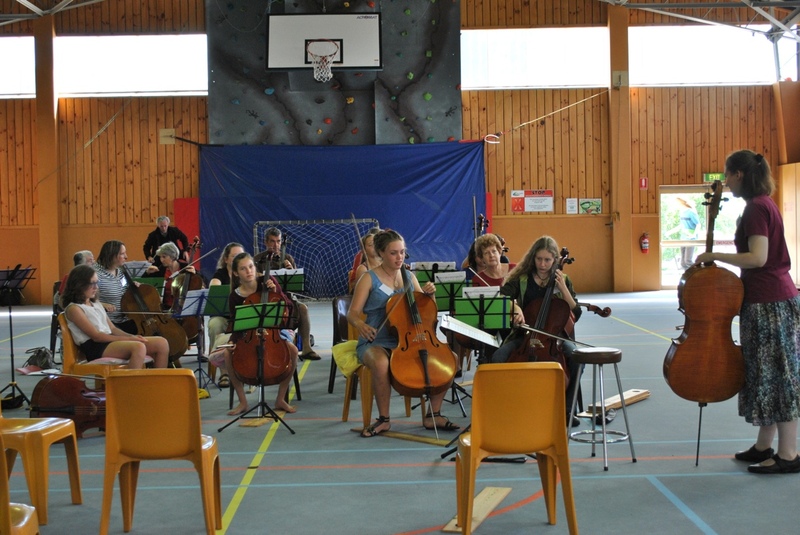 From 2009 onwards the camp has had four orchestras. You can hear music played at recent camps in the Galleries. You should be able to read basic music in the key of D major. D major looks like this. You should be able to fluently read music in C, G or D major, and A, E or B minor (0 to 2 sharps). Your music will (usually) be in first position. You should be fluent in E♭ to A major and C to F♯ minor (3 flats to 3 sharps). You must be able to sight-read in these keys up to third position (violins and violas) or fourth position (cellos). Repertoire for this orchestra includes unabridged classical scores. You will be expected to sight-read these through once, then work on phrasing and articulation, without needing to repeat sections just to get the basic notes right. 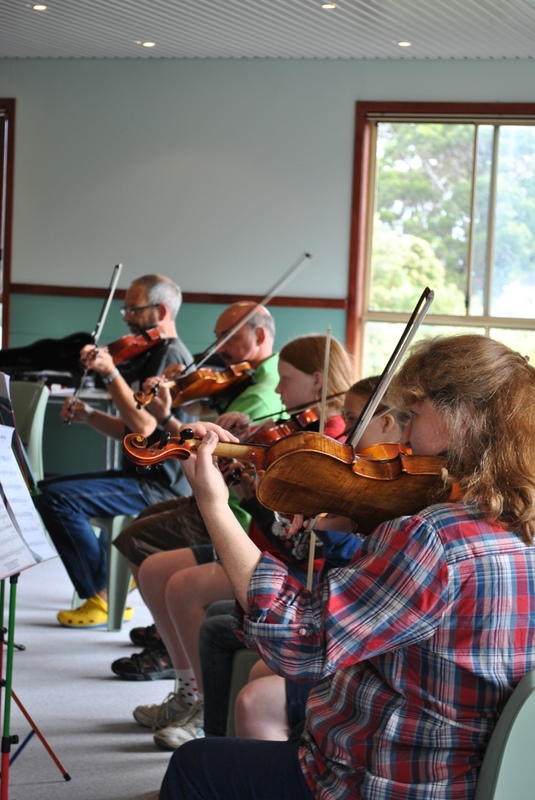 There is no minimum age for the camp, and we have seen some very skilled young musicians. 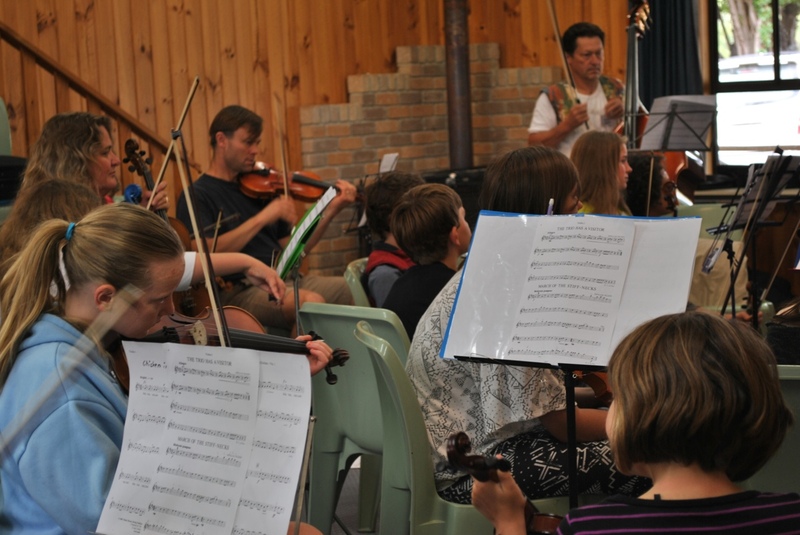 However, campers are expected to attend all orchestra rehearsals (4 hours each day) and chamber rehearsals (1 hour each day). Most children thrive on this, but the very youngest are sometimes eager but unable to play for so long.